This week, I will not write about a successful entrepreneur, an amazing inventor, or business owner. Rather, let’s talk about a custodial worker who lives by the old expression, “A penny saved is a penny earned,” and has learned the art of compound investing. Now in her 50’s, she can retire pretty much anytime she chooses. Local entrepreneur and educator, Mike Cassidy, heard Anne Sheehan’s story at an event, and it reminded him of a story in a book I recommended to him written by Tony Robbins called “Money – Master the Game.” He realized we have a master right here in PEI, cleaning the McDougall Hall Business Building on the UPEI Campus. Anne is one of the most inspiring people I have met in a long time. 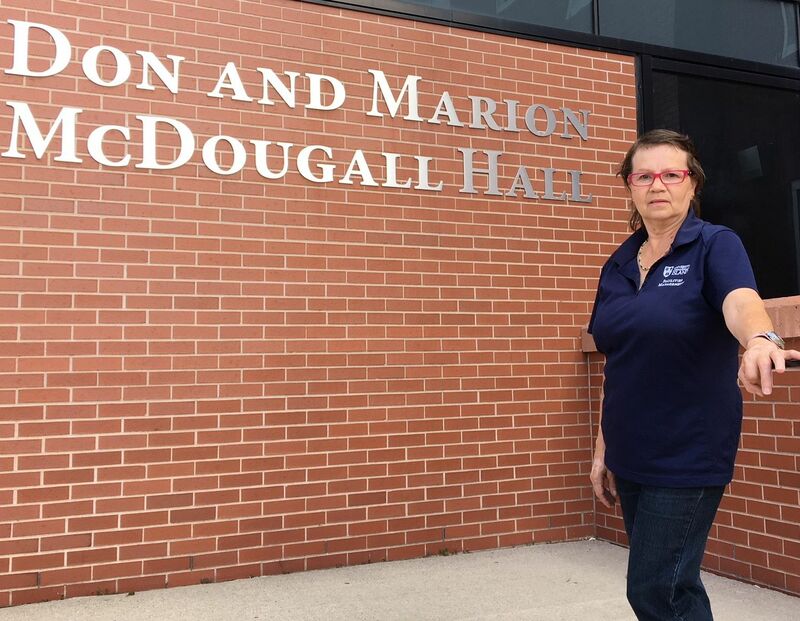 In fact, she now provides lectures to students enrolled in the Advanced Entrepreneurship Program at the Business Faculty of UPEI taught by Mike Cassidy. He is an exceptionally forward-thinking professor who continually challenges his students and ensures they hear real-life lessons from everyday people who initially struggled, and then achieved great success. Anne is not highly educated nor is she a financial wizard. In fact, she came from a poor family of 11 siblings, and knows what it is like to be cold and hungry. As she got older, she decided that she did not want to be dependent on others or the government, and wanted to retire comfortably. She also knew that her future depended on taking personal responsibility for the choices she made. She refused to join the crowd who continually complains and blames others for their hardships. The first step in her success happened in her early 20’s. She went on a quest to understand millionaire thinking. She spoke with successful people, read books, and listened to motivational tapes. She then set clearly articulated goals for her own future. Anne began by putting small amounts away from each paycheck directly into an RRSP (she did not even get to see it), then expanded that to include TFSA’s and other savings programs. She also made sure she did not accrue any debt. She realized that by borrowing, people end up paying twice as much for everything they buy, with half of what is earned going to making lenders rich. But to do that, she did without many day-to-day luxuries her friends enjoyed. She was determined to set money aside for her future. As a result, she was able to pay for her son’s tuition and purchase a house and is now mortgage-free. She even earns additional revenue from renting the extra space. She is now teaching her son these principles, and she is available for speaking to groups. She lets people know the importance of setting goals, treating others with respect, investing in their own personal development, and making choices that bring happiness. Do not let fear control your life, take personal responsibility for wherever you find yourself. What are you doing to plan for a comfortable retirement and life of independence? Posted in Clear Direction on by Joseph Sherren.